The Forks Rd bridge in Dain City has been permanently closed and is set to be demolished. 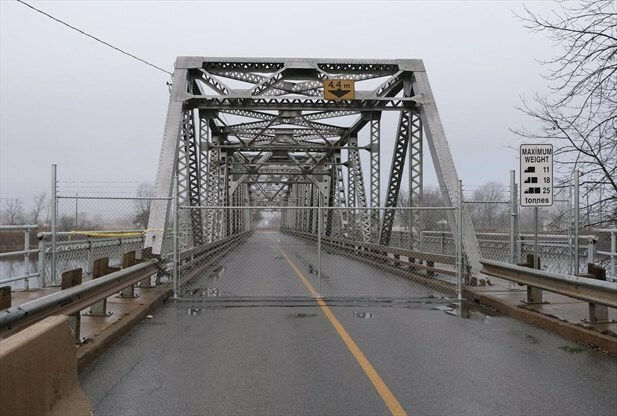 Further information on the Forks Rd bridge can be found in the Welland Tribune Online. 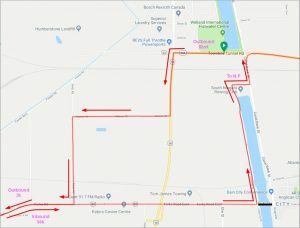 As a result, both the Rose City Triathlon and the Barrelman Niagara Falls bike courses have received modifications for 2019. This presents a challenging turn of events not only for our planning, but also for local residents and business. This is not an exhaustive list however, we have come up with the following solutions for 2019 allowing us to continue to keep the courses as similar as possible to previous years. The City of Welland as well as the local stakeholders have agreed to support these changes. 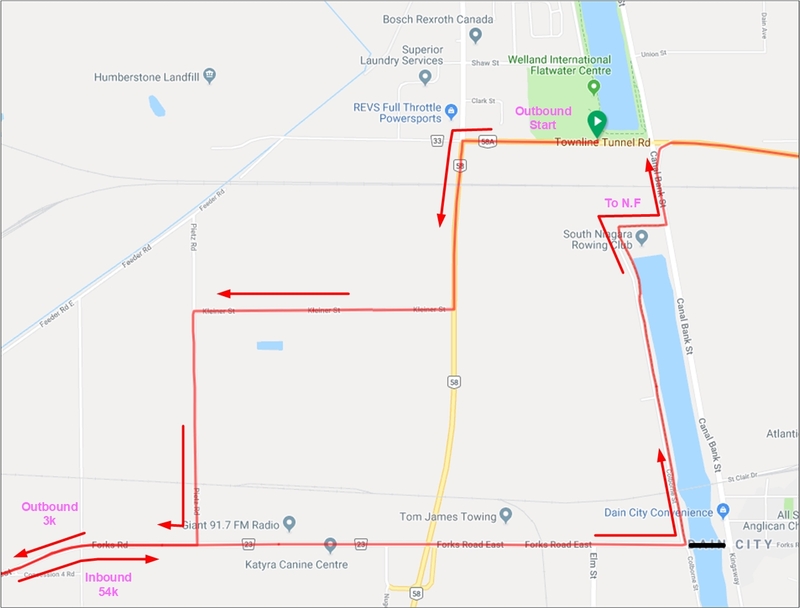 The new courses have been published to the event websites, a summary of the changes can be found below for crossing the Canal without using the Dain City Bridge. Long Course will access Forks Rd via Fitness pathway from Canal Bank St to Colborne St and onwards to Forks Rd. 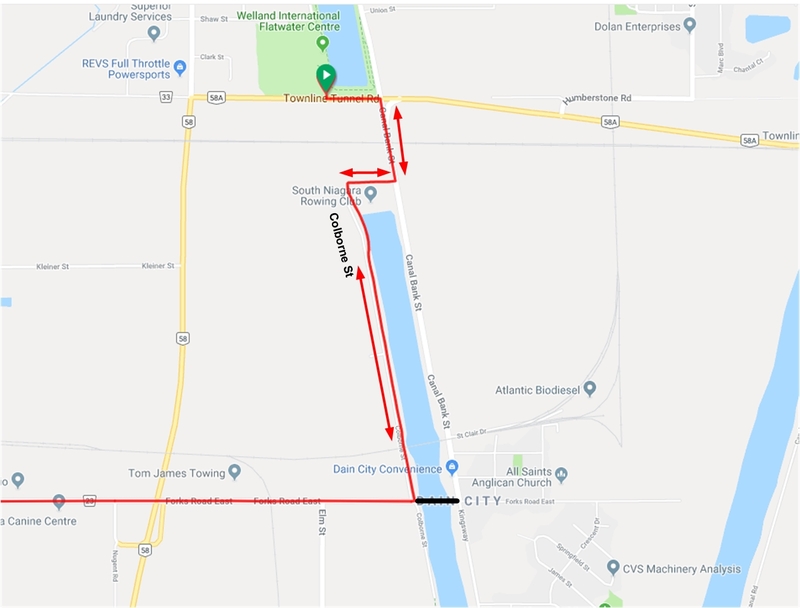 Short Courses will limit road usage to Townline Tunnel Road between Prince Charles Drive and Canal Bank St as well as Canal Bank St between Ontario St and Townline Tunnel in order to allow for ingress/egress of Dain City residents during the event. The result of this is that we have less road to work with, resulting in more laps, however the roads will remain fully closed from vehicular traffic…a big positive! Access to Forks Rd will be done via Prince Charles Dr, Kleiner, Pietz for outbound cyclists only. See first 3kms of route on course page. Canal Crossing will be done via Colborne St and then using the Fitness Path to access Canal Bank St for cyclists on return route towards the Tunnel. See kms 56-58 on gps map on course page. 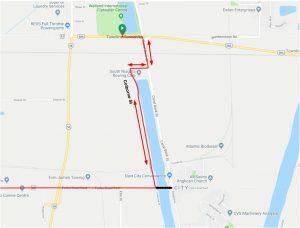 Once the future of the Dain City bridge; specifically if a replacement will be built or not has been determined, we will revisit the routes once again.